sustainability concerns and processes. To introduce you to the main issues, experts from the fields of engineering, planning, public health, environmental design, architecture, and landscape architecture review current sustainable large-scale projects, the roles team members hold, and design approaches, including alternative development and financing structures. 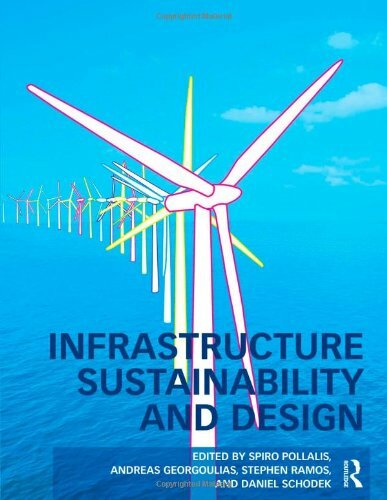 They also discuss the challenges and opportunities of sustainability within infrastructural systems, such as those for energy, water, and waste, so that you know what's possible. And best of all, they present here for the first time the Zofnass Environmental Evaluation Methodology guidelines, which will help you and your team improve infrastructure design, engineering, and construction.